The Village of Kenmore, just under 1.5 square miles, has long had an outsized reputation for traffic enforcement. When it comes to the state’s ban on texting while driving, Kenmore’s standing holds up. The Kenmore Police Department issued the most texting while driving tickets from 2014 through 2017 among municipal departments in Erie and Niagara counties, according to data from the state Department of Motor Vehicles. In fact, Kenmore’s officers issued more tickets for texting while driving in that time than Buffalo, Cheektowaga and Amherst combined. “It’s something we put a priority on,” Kenmore Police Capt. A.J. Keifer said of the department’s approach to traffic enforcement. An analysis of statewide DMV data shows enforcement of the state’s ban on texting while driving varies widely among police departments. Police in Kenmore, the Tonawandas and Hamburg issue the most tickets for texting while driving among town, city and village police agencies in Erie and Niagara counties, according to the data. In other places, including Lackawanna and Lewiston, it has been rare for a driver to be cited for texting. Experts agree the behavior is dangerous, and it can be deadly – distracted driving caused 3,166 deaths in the United States in 2017, according to the National Highway Traffic Safety Administration, which has designated April as National Distracted Driving Awareness Month. New York made texting while driving a primary offense – meaning officers could pull drivers over for that violation – in 2011. Texting-while-driving tickets remain just a small fraction of all the traffic citations issued in New York State. They accounted for about 3 percent of the 14 million traffic tickets issued from 2014 through 2017, according to state DMV data. But the numbers are growing. While the number of tickets issued for talking on a cellphone while driving is going down, citations for texting while driving have been steadily increasing since 2014, according to the data. More than one in three drivers admitted to typing or sending text messages while driving over the last 30 days, according to survey results published last year by the AAA Foundation for Traffic Safety. Some police officials believe distracted driving can be more dangerous than drunken driving because distracted drivers – with their eyes and attention off the road – have almost no reaction time to avoid crashes. Police agencies say it is difficult for officers to catch someone typing a text message on their cellphone while behind the wheel. Wireless technology inside vehicles, including Bluetooth capabilities built into cars, has helped lead to a reduction in drivers who hold a cellphone and talk while driving, authorities say. “It’s really hard to see somebody if they’re using their phone,” said Town of Hamburg Police Capt. Kevin Trask, whose department issued the third-most texting tickets among local municipal departments. The law that covers texting while driving defines using a device to include viewing, taking or sending pictures, playing games, or receiving emails, viewing websites and text messaging. New York's ban doesn't go as far as some other states do. In California, drivers are prohibited from even holding mobile devices in their hands, according to the New York Times. New York State troopers, by far, issued the most tickets locally during the most recent four-year period for which data is publicly available. Troopers based in Erie and Niagara counties issued 3,890 texting while driving tickets over that period, according to DMV data. Statewide, troopers issued roughly one in every six tickets written for texting while driving over that time period. Because texting has become so pervasive in daily life, some people assume that because they’re capable of doing it at the same time they do other things that they are capable of doing it while driving, said Trooper James O’Callaghan, public information officer for Troop A of the State Police. What might explain the disparity in the number of tickets issued for texting while driving by various departments? The number of officers working in a department may be a factor in how many tickets a department writes, said Chief John Aresta of the Malverne Police Department on Long Island. Aresta, who is president of the state Association of Chiefs of Police, noted some departments may use traffic details that focus on writing tickets as part of enforcement. There also may be traffic stops officers conduct that don’t result in the issuance of a citation, he said. The level of education and outreach in a community about the dangers of texting while driving may also play a role. Aresta said he believes education has helped reduce the number of drivers who talk on cellphones while driving. Officers in the town just wrapped up a weeklong effort to aggressively target motorists who are texting while driving. The town department issued 643 tickets for texting while driving from 2014 through 2017, behind only state troopers and Kenmore police. The department is “vigilant in all aspects of law enforcement, including enforcing violations of vehicle and traffic law,” said Tonawanda Police Lt. Thomas Haynes. 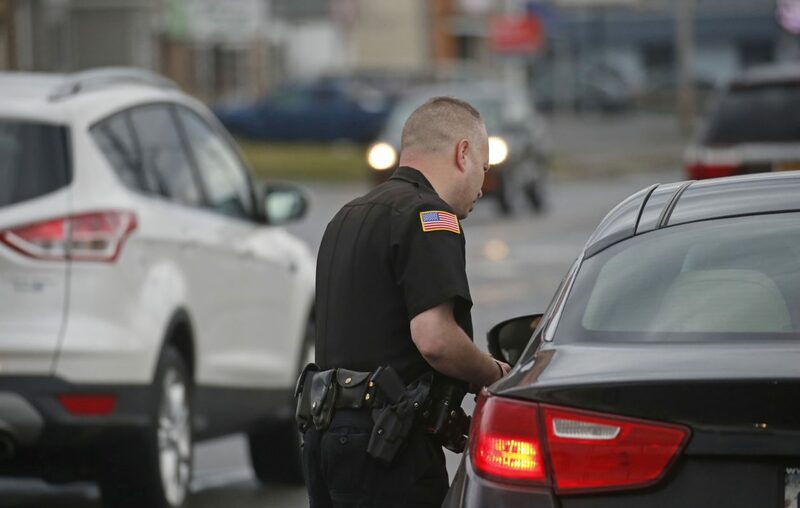 Writing traffic tickets is considered a highly discretionary police activity, so what gets enforced and how it gets enforced generally reflects a departmental priority, said James J. Sobol, associate professor at SUNY Buffalo State and chairman of the college’s Criminal Justice department. The priorities may come from municipal leaders and are passed to a police chief and then down through the chain of command of a department, Sobol said. There are many possible factors that would affect how many tickets a department writes, he said. Some departments have a culture where ticket writing by officers is seen as “good police work,” he said. There also are differences among communities in the overall nature of the calls police respond to – some communities face different problems, like more gang activity, while some places require more proactive police work to find violations, Sobol said. In places like Buffalo, where city police in 2017 issued one ticket per week for texting while driving, police place a priority on more serious calls for service and crimes that happen in the areas they patrol, he said. Officers in Buffalo simply “have bigger fish to fry,” he said. From 2014 through 2017, Buffalo police officers wrote 245 texting while driving tickets. That's less than Rochester's 388, but more than Syracuse's 214, according to state data. In some police departments, writing tickets may also be have a financial motive – issuing lots of tickets boosts revenue for municipalities, Sobol said. Town of Hamburg police have always focused on traffic enforcement, said Trask, a department captain, who said he hopes his department is always among the leading departments issuing tickets. 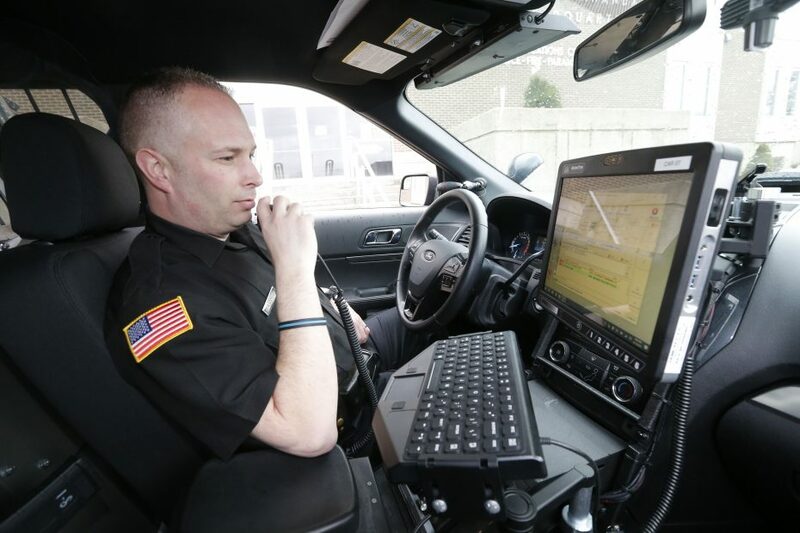 West Virginia University researchers, in a study published in October in the journal Injury Prevention, found police highlighted what they saw as a variety of challenges to enforcing laws involving cellphone use while driving. The four major themes of those challenges were cultural norms surrounding cellphones, issues with the laws and the legal system, the nature of police work as well as prevention issues. Toni Marie Rudisill, the lead researcher, has also found in her earlier research limited police enforcement of driving laws restricting cellphone use. Rudisill acknowledges the difficulties police officers face in trying to deal with drivers who break texting while driving laws. "We've all sped," Rudisill said. "We don't always get a ticket." The same applies to texting while driving, she said. “They can’t realistically pull everybody over." The spreadsheet below shows all the police agencies in New York State and how many tickets for using a mobile device while driving were issued from 2014 through 2017. You can search for an agency by clicking on the magnifying glass and typing in a name. You can also sort the data to see where your local department ranks among other agencies.